with Hitchers (LTL shippers in need of space). If you’re like most people, you probably saw wasted space in a trailer. At Logispics, we see an opportunity for you to sell that empty space and make money. Lately, it’s become so difficult to build full trailers in the modern supply chain that most shippers consider shipping air as part of doing business. But now that empty space is worth something! Automatic Load Sharing is the future of shipping. It prevents losses to your bottom line by putting cash back in your pocket, and it promotes environmental protection by taking extra trucks off the road. Logispics is a startup founded in Columbus, Ohio, by experienced supply chain specialists. We saw trends leading to empty trailers, and we wondered how we could help companies capitalize on this unused space. Logispics has created a mobile and web app to push a new revolution in shipping: Automatic Load Sharing. The mobile app allows Anchors to measure the available space in their outbound trailers and match it to Hitchers in need of it. Both parties can track their trailers and savings live on the web app. Everyone wins! It’s now more expensive than ever to ship nothing but air, especially with costs rising due to driver shortages, increased demand and new regulations. Trailer underutilization is particularly prevalent on the inbound side due to its decentralized nature. Optimization requires input from thousands of suppliers, 3PLs, and internal buyers and planners. When any of these key players fail to perform their function efficiently, the result is higher transportation costs. There are 8 different reasons why this happens. Read about all of them here, and then find out if Automatic Load Sharing can bring those bottom line losses back to your company. We know that every large shipper struggles with filling their trailers; we hear it time and time again from supply chain professionals. Now we’ve got the solution and we’re happy to share it with you. Logispics is offering a Pilot program—open to shippers operating routes near Columbus, Indianapolis and Chicago (see our service area). 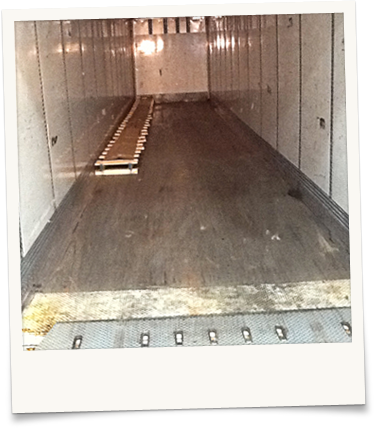 You’ll see firsthand how we can maximize the value of your trailers, and how much we can save your company in the process. We’ll come to your site and train your staff on how to use the Logispics web and mobile apps for connecting with shippers who are willing to pay for that space. This pilot requires NO implementation—no software or additional long-term investments required. ©2017 – Trademarks and brands are the property of their respective owners. Someone will contact you shortly to schedule a time that works for you to go over the program in detail.